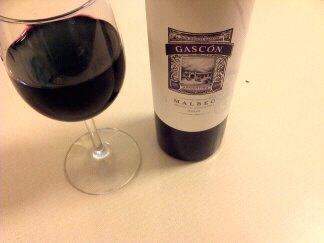 Overall: this wine is from Don Miguel Gascon in Mendoza Argentina. It is big and fruity and very full bodied. It has the weight of a shiraz but the accessibility of a fruity wine. 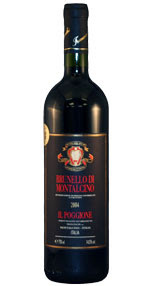 It trades spiciness for big thick fruit while retaining a soft and round tannin profile. A fine fruit-forward Argentinian Malbec. This wine is harmonious and beautifully integrated, even in its youth. Everything works together within a smooth profile that is easy to drink and delicious. 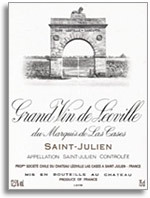 This "second growth" Bordeaux in the 1855 Classification is widely considered to be a super second above all other classifed red Bordeaux except the five "first growth" wines. Within the past decade, critics have heaped praise upon this chateau and have scored it among the highest in the world. It has a reputation to age gracefully like many of the other great chateaux, but this one is also great in its youth. There are no hard edges or puckering tannins and it exudes class. While no steal, its $200 price tag is a fraction of the big five. Raise a glass! 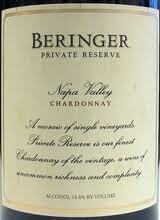 A gentle golden presentation with ample aromas of a tropical fruit salad; buttery cream notes and vanilla. Palate--A nicely textured, caramel and creme brulee with a veritable salad of ripe tropical citrus, papaya and mango flavors all rolled into one. Foundation structured of vibrant acidity with razor cleansing presence and a lasting, fruit-filled finish. I forget where I grabbed this but I was enticed by the signature on the bottle of Laurie Hook--the vintner. I paid $28--a splurge for me--and it is classic Napa Chard. Parker gave this 94 points; The Wine Spectator 92 which I believe is more appropriate. At any rate raise a glass! Palate--Nice black cherry fruit and cherry underneath with cola mid-palate. All of which sits on a youthful foundation. Finish is a little short for the caliber of the wine. This is drinking really well now but will hold for several more years. This wine was given to my wife and I on our recent trip to LA. This wine will always be associated with our time around friends and new friends that are now close friends. The power of wine--brings people together, evokes strong memories and great times so raise a glass and thank you Edwin--Mi amigo grande! Nose: juicy raspberry ans strawberry, fresh and lively with italian basil notes. Palate: lush, ripe juiciness, good light structure in the mouth that stays agile and alive without weighing the wine down. Finish: earthy notes on the back provide an elegant finish to this young Pinot Noir. 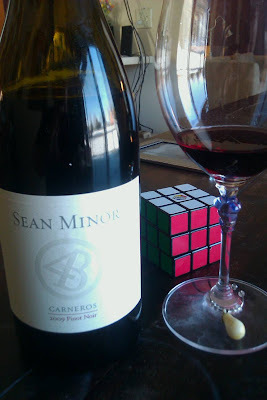 Overall: thanks to the crew at Sean Minor for providing this 2009 Carneros Pinot Noir to the Wine Cask Blog free for review. The wine is very easy drinking, light in body and fruity in character. It is incredibly "juicy" making it both fun and easy to drink. Red with slight bricking in the glass. Palate--Mature tannins on a fully integrated wine that is approaching plush and drinking at peak maturity. Expressive berries with slight espresso base. Drinking REALLY well so raise a glass of this value wine that runs around $11. Columbia Crest just does wine right at all price points--always reliable and always a value. Medium garnet hue with aromas of wild dark berries, tomatoes and alcohol. Palate--Soft structure with sweet backbone that is a bit overdone for a Zin. That being said, big berry fruit and some light cocoa flavors are pretty pleasant. This wine is straight forward Zin, drinking peak right now but is a far cry from a $20 Zin that this cost. Finishes with ripe fruit and subtle baked berry fruit. I popped into a wine store outside of Ojai, Ca. to kill a few minutes while the fam was doing something else in a store. I snagged this since it was not anything I was familiar with. As it sits in the glass it starts failing. I would pass on this Zin! Another Trader Joe's wine, this Pinot is light in color with some surprisingly big Pinot aromas. Strawberry fruit with a touch of "stink" and a breeze of milk chocolate powder. Palate--Again--surprisingly varietal flavors of strawberry and lingering fruit on a foundation that has some character and a smoky finish. 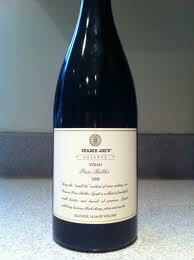 Fred Franzia (think--Franzia wines)made the statement once that "No wine is worth more than $10." He now heads up the gigantic Bronco Wines Co. and backs his philosophy of non-pretension with this quality value Pinot for $7. Carneros Pinots will easily run you $23 on up. This is a great value so raise a glass! The wine tasting venue for wineries is an important marketing tool. The way it is staffed can help or hurt the wineries ability to sell wine. She tossed a sheet in front of me saying, "Here's the flight, it's $15 which is waived with a two bottle purchase." Fair enough except that the 2 wines I was interested in were not on the predetermined tasting flight. Had I been able to taste the wines I was interested in I more than likely would have purchased them for about $40 each. On a previous trip out to Santa Barbara a couple years ago, I had a great time with the good folks at Jaffurs and Stolpman wineries. The two wines I was interested in were from the grapes of vineyards that these two wineries also used. But they were not on the pre-determined 6 wine flight. So instead, of dropping about $100, given the bad vibe of the place, I walked out. I have been to tasting rooms throughout Napa, Temecula, Sonoma, and numerous states and countries and rarely encounter the "reception" I perceived on this unfortunate occasion. 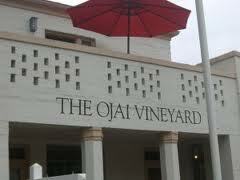 So--bottom line--I have not tasted an Ojai wine and am not likely to. I would humbly inform wineries and tasting rooms that the host or hostess plays a grand role in marketing for the winery and you never know who may walk through your door. Medium golden hue with vanilla pudding and tropical fruit in volumes with minerally notes but a bit "manufactured all in all." Palate--A bit flabby on the palate but decent Chardonnay flavors with light citrus and tropical fruit compote, with a later presence of honey. Actually drinks better (more genuinely) than it smells. This is a Trader Joe's wine running $7 which, for a Russian River Chardonnay, is a value price if it is a decent wine. I have a mixed assessment about this wine. There are moments when it is really quite varietal and pleasant but it lacks a foundation befitting the rest of the wine. So--its get a grip time: A decent Russian River Chard should run you around $20--$30 so you have to take that into consideration. All in all, it has commendable flavors but wanting structure; still for $7, it is a decent quaffing Chard especially with a chill on it which will help mask the lack of acidity. Not a great food wine but for a porch party in the Summer, raise a glass! At 12 years old, this wine is still incredibly youthful, dense, and vibrant. I bet that it's getting better every year in the bottle and won't peak for another decade. It's firm and dense with rich layers following an incredible mint chocolate nose. What a treat! Here's a legendary Cab from a small plot of land that took the wine world by storm in the early 1970's. Since then, many beautiful wines have been produced from this vineyard and the prices have only climbed modestly compared to some of its peers. This bottle goes for around $130. Raise a glass! This Napa Valley Cab is a newer brand from Paul Hobbs, which goes for about $32. It has characteristic fruit and an interesting flavor profile. The layers on the finish work together harmoniously to give this wine a good, solid Cabernet Sauvignon feel. Enjoy it in it's youthful state with a hearty meal or tuck it away for another 5-6 years for a different experience altogether. The 2007 vintage from Napa Valley continues to show excellent wines. 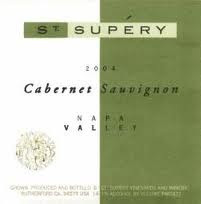 In the case of Cabernet Sauvignon, many well made wines are rich in flavor and texture while still sturdy and dense. Darker black cherry hue with aromas of ample black cherry with raisiny foundation and a hint of blueberry pie. Palate--Solid steely dark berry flavors on a foundation that is pretty mellow considering its youthfulness. This should be really nice in another year and should hold for at least 2-3 more. This particular line of TJ's own wine is not carried in all TJ's as far as I know. This runs $10 and for that price, this is a substantial, easy drinking fruit forward value wine. So Raise a glass and enjoy but be careful; this bad boy is 14.6% alcohol. Sorry for the lack of posts recently but I am out of state currently in S. Calif. Heading for Ojai today. Checking out lesser known wines in this lesser known region to keep you abreast of the burgeoning market of value wines. Until I am able to post again--raise a glass! Amarone is a special wine that defies category. Made with partially dried grapes such as Corvina and Rondinella through a special technique called appassimento, Amarone is hard to pin down. It's both dry and sweet, but most certainly still a table wine. In fact, many of the good wines have a savory complexity as well that adds to the character. Zenato made a special wine in 2006. It's huge and rich, with incredible texture. At over 16% alcohol, there's no denying it's power. For $60 or so, it's every bit worth the price. Raise a glass! Here's a great value wine at just $13. Hogue puts together a beautiful Syrah for the Genesis label with ripe fruit layers, smooth texture, and a nice finish. It's rich and robust- perfect for hearty fare. Raise a glass!